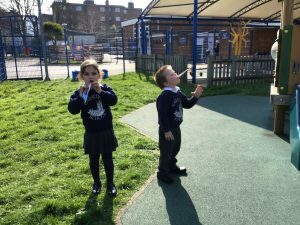 We had a fabulous Science Week last week, doing lots of investigating and experimenting! 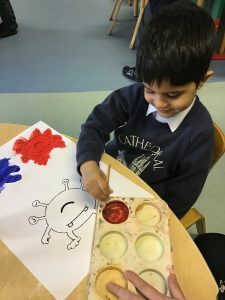 We enjoyed colour mixing and learnt that we can make a secondary colour by mixing two primary colours together! 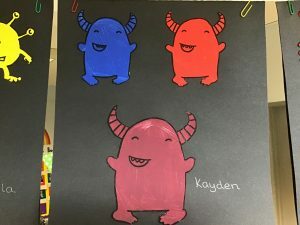 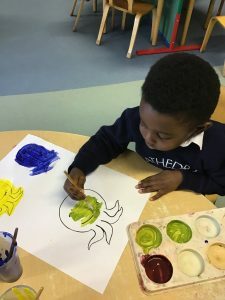 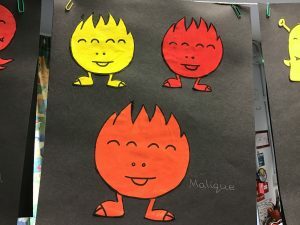 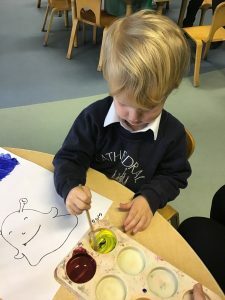 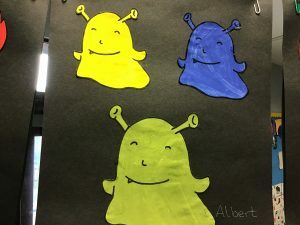 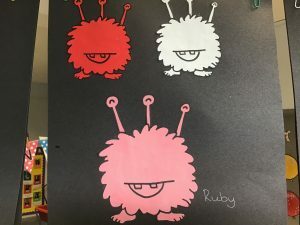 Have a look at our alien colour mixing pictures! 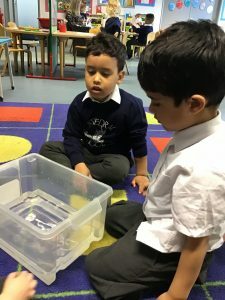 We also took part in a floating and sinking experiment, making predictions as to whether certain objects from around the classroom would float or sink! 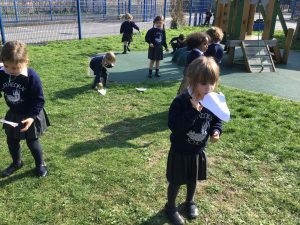 We made our own rockets and took them outside to test if they would fly! 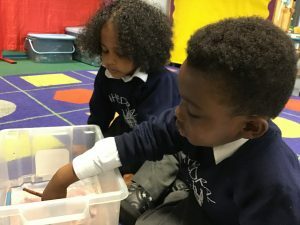 Take a look at the photos of us being super scientists! 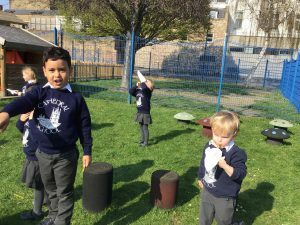 What an awesome week! 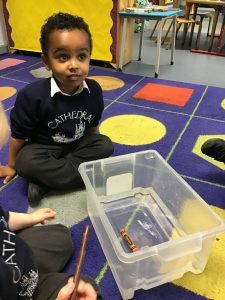 We’re trying to keep the Science momentum going at home and we’ve made a start with the first science experiment in the pack that was sent home. 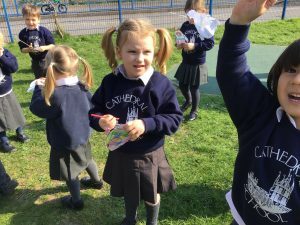 Thank you for organising this.